Break out the bubbly! There’s a new Melissa Prince design! 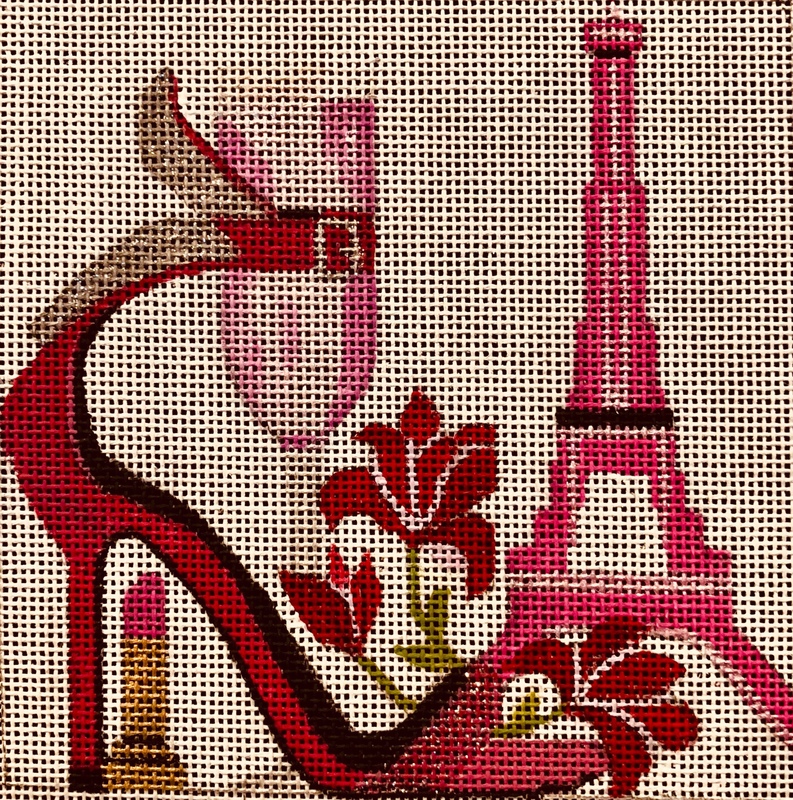 Melissa and I collaborated on this piece for my “Go Red with Thread” fundraiser a few years back. 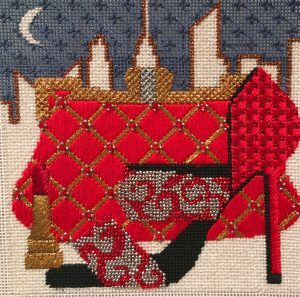 I loved stitching the first one SO much that I am so excited she designed another one like it. Melissa is a breast cancer survivor . . .22 years cancer free! SO this is a really important piece for her. A portion of the proceeds from the design will be donated to the Breast Cancer Research Foundation. Stitch one for someone you know . . .or simply because it’s so darn pretty!